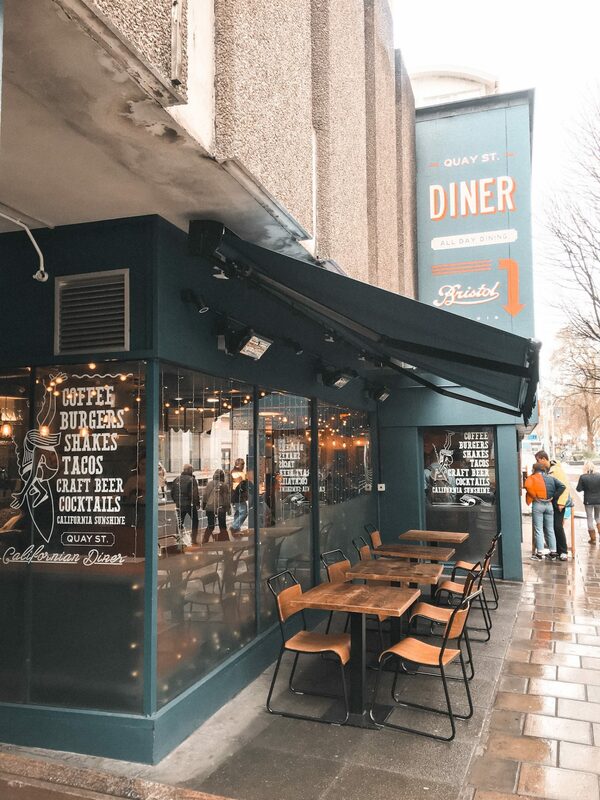 Based in the heart of the city, Quay Street Diner is located on Nelson Street. 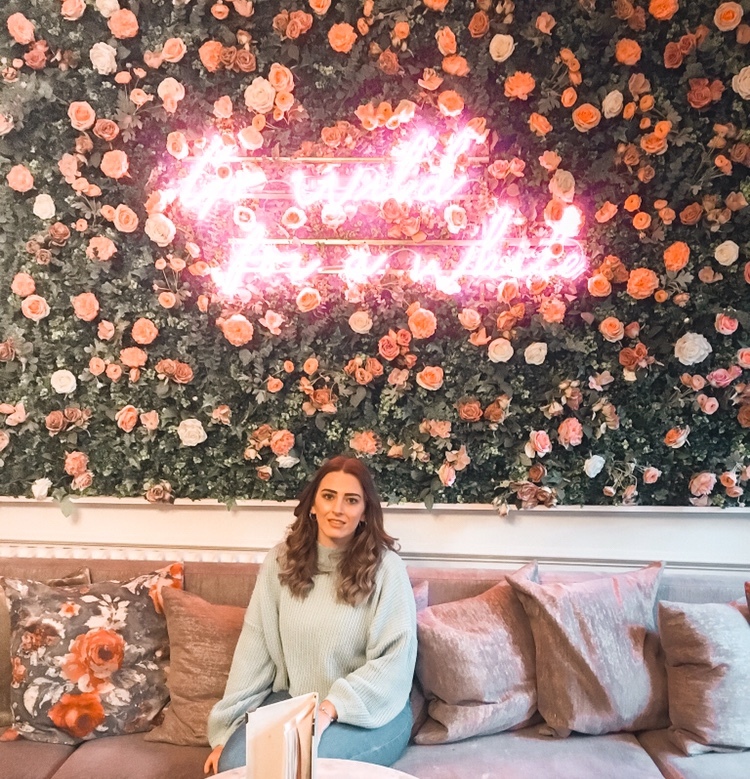 If you aren’t a Bristol regular, it’s basically situated halfway between Cabot Circus and the Habourside! I’d walked by before, always thinking about how homely it looks. 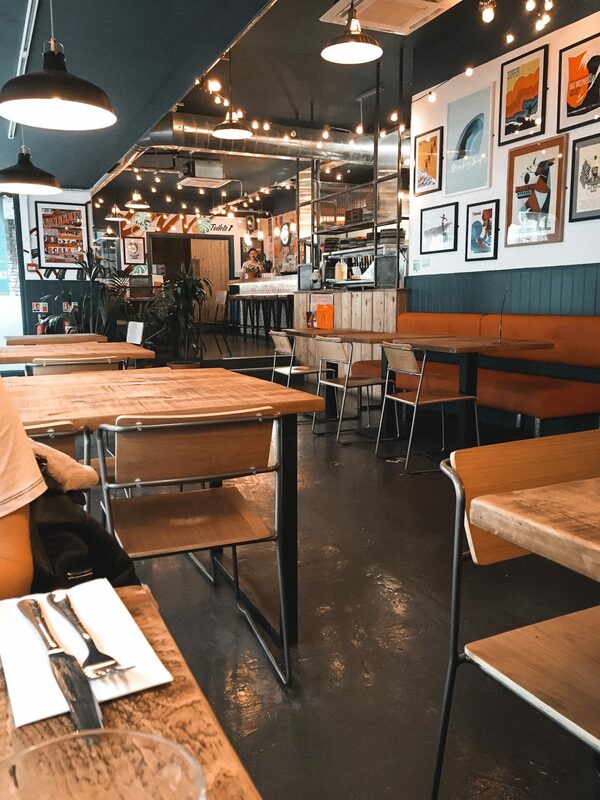 Quay Street brings Cali eating to Bristol, focusing on cooking on charcoal and cooking BBQ style! Having an incredibly diverse menu, there’s something for everyone! From subs and burgers to tacos and salads, you won’t struggle finding something to select. I like the look of the Philly Cheesesteak and Popcorn Shrimp Po-Boy, proper American food! They’ve also got some incredible cocktails, I really like the sound of the Blueberry Mojito. I went for Brunch one rainy Sunday morning, we were the only ones in there for half an hour, before it became full and people being turned away! 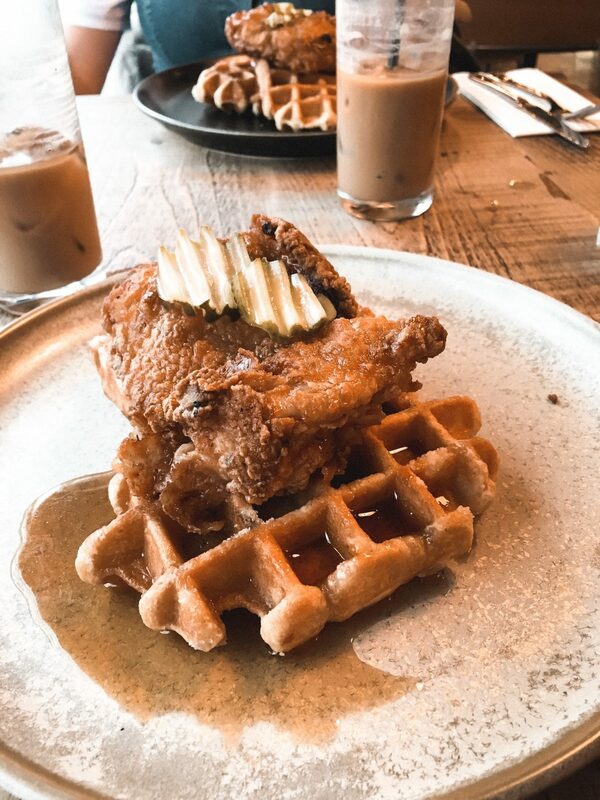 I’d always wanted to try fried chicken with waffles and maple syrup, and was excited to eventually try them here. They were incredible, it sounds like a very odd combo, with the sweet and savoury, but it worked perfectly together! Other Brunch options include; pancakes, egg options, huevos rancheros and brunch tacos! I will definitely be heading back to Quay Street Diner, for a blueberry mojito and to try some of their famous subs with some sides! I’m intrigued by the other brunch options on the menu, as well as Taco Tuesdays (a free Margarita with every plate!) and tasting all of their cocktails! 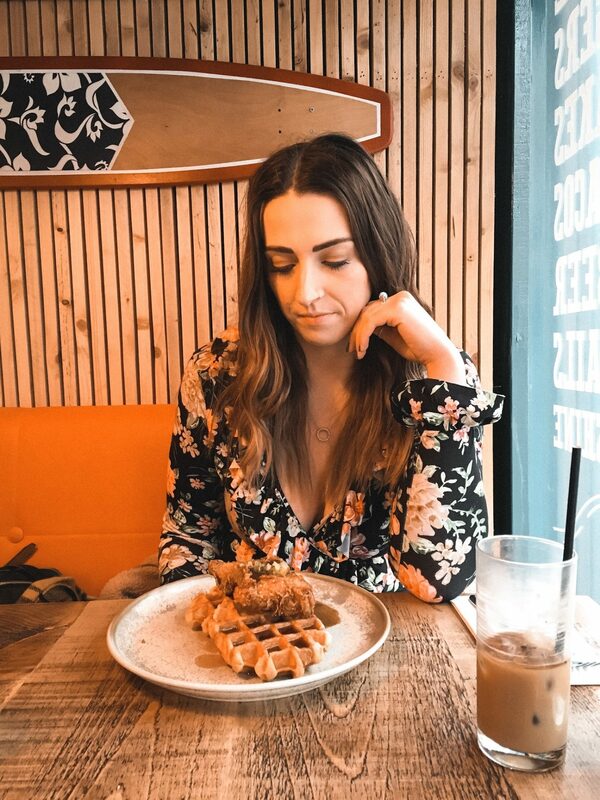 *Please note I was gifted my meal with Quay Street Diner, in collaboration with Socialight, in return for content on my Instagram, and not a review on my blog. All views are my own! Previous Post What Should I Have Done By 25?